IT operations management (ITOM) is the concept of rolling your business’s IT service desk and subsequent management tools into a single stack. There are a number of reasons to turn towards an ITOM strategy – the most common being an answer to the disorganization that multiple management platforms like SCCM and Puppet can cause when present at the same time. 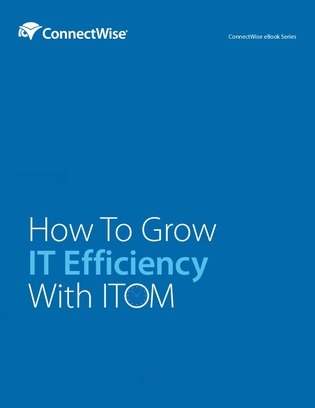 Inside this guide, learn more about what makes an ITOM strategy ideal for increased IT and business agility, and find out why a unified service desk experience is essential for modern business success.